Happy Autumn Equinox! With all this lovely weather we have been having it was easy to forget it. I thought it was apt that the weather became more chilly today as it is the official Autumn Equinox, marking, for many, the start of Autumn. I have written before of how we Irish like to define the seasons in our own bizarre ways. The same post also describes what an equinox is, if you want the nitty, gritty detail. Personally, I judge the seasons more by the cues in Nature and I certainly have noticed the birds starting to gather for their migration, the days beginning to shorten and the leaves on the trees beginning to change colour. I always thing the colour display of Autumn is worth the colder nights and darker days. 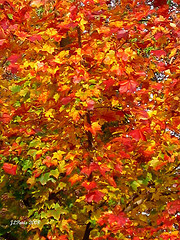 Did you ever wonder why and how the leaves change colour? Well it turns out I wrote about that too, in my first ever blog post. Today I get to share it with you again while joining in a blog linky by lovely fellow Galway blogger, Aedin, over at Minis and Mum, as she invites people to share their first ever post in celebration of her lovely blog’s three year anniversary. I grew up in Co. Wicklow surrounded by some beautiful deciduous woods and forests and this Autumn has really brought my childhood memories flooding back. My mother brought us often to the woods as children and we would hunt around for hidden treasures and delights to bring home and turn into some “masterful” collage in homage to the season. There was also the foraging, a distinctive primordial instinct in us all, there is nothing as pleasing as returning home with your bounty… be it blackberries or sweet horse chestnuts- to be turned into jams and tarts or painstakingly peeled off all nasty layers to reveal the divinely sweet, fruity, nutty delight beneath. In fact the joy that came with eating the nut always made it suddenly worth your while to start the arduous task of peeling all over again! 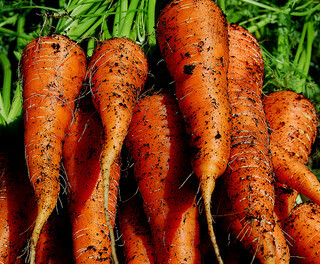 In the absence of carotenoid, anthocyanin is the dominant pigment. Anthocyanin (the same pigment found in red onions, red grapes, red apples and red cabbage) is a natural pH indicator, meaning that it can change colour depending on the levels of acids or bases/alkali in its environment. In fact one of my favourite experiments that I often do with children is to demonstrate this colour changing using anthocyanin extracted from red cabbage (but that’s a whole other blog in itself). At the beginning of Autumn the levels of sugar in the leaves tends to be quite high, increasing the acid levels in the leaves, this strengthens the red colour of Anthocyanin if it is present in the leaves. 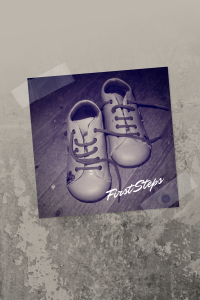 There are lots of lovely “first steps” posts to read in this linky, just click on the image below to find some more.